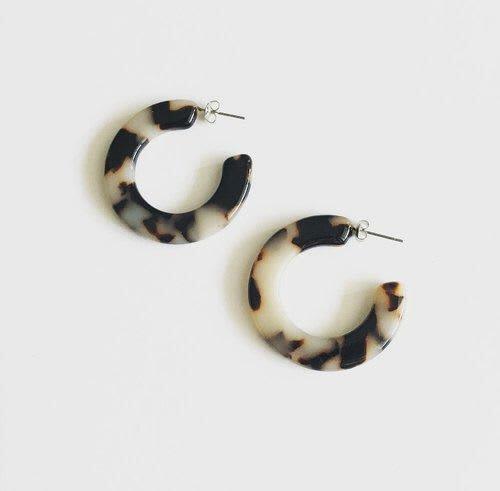 These Machete earrings are sourced from Italian made and imported acetate. Each is fixed with hypoallergenic, stainless steel posts. The tortoise shell acetate we source is high quality and non-petroleum based, imported from Italy.